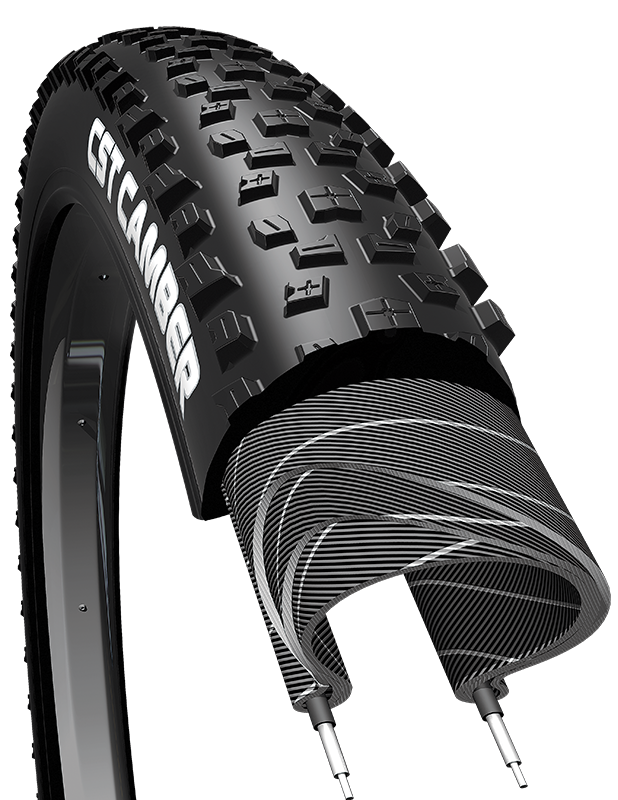 The CST Camber is a hardpack mountain bike tire engineered to run in specific directions for the front and rear. The Camber rolls fast in the front, and bites into corners in the loose stuff. Reversed on the rear, the Camber gives precision cornering, plus additional acceleration and climbing traction. It is available with a wire bead, a folding bead with EPS puncture protection and a UST-certified bead profile and casing. A UST tire has a bead profile designed to be compatible with UST specific rims. UST tires use a butyl inner liner to eliminate the need for a tube.